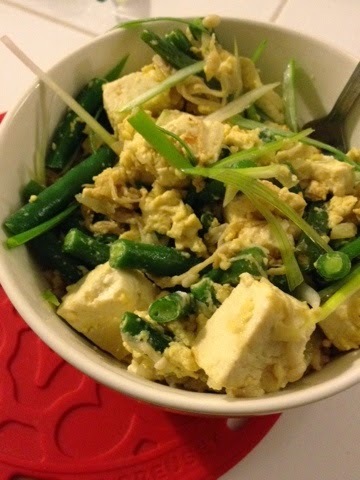 I really like donburi (egg/veggie/meat) over rice bowls from Japanese restaurants. The other day I came across a simple vegetarian version and decided to try it out. I made tomato rice to go with the toppings. 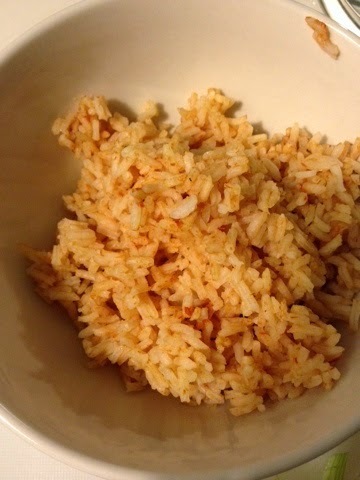 To make it, just add tomato sauce (to taste) to the water as you cook rice in a pot. pretty awesome. p.s. I didn't follow a recipe. I happened to have some left over tomato sauce from cooking chili previously and just decided to add it in rice and see what happens. there we go. genius stuff. 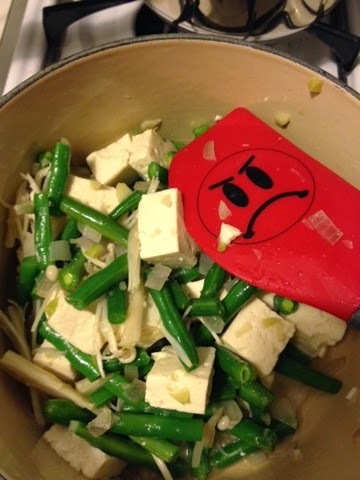 I like the unhappy spatula. Thanks. I think I will try this.